Seven decades after the destruction of the Armenian population in the Ottoman Empire, the Armenian genocide remains largely ignored by governments and forgotten by the world public, even though the annihilation of Armenians was headlined around the world in 1915. 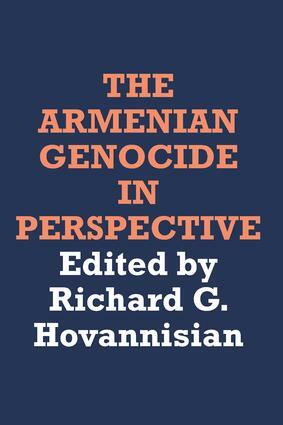 Scholarly investigation of the Armenian genocide is just beginning, made more difficult by the tendency of many establishment figures to rationalize the past and the attempt of perpetrator governments and their successors to deny the past.This volume is a pioneering collective attempt to assess and analyze the Armenian genocide from differing perspectives, including history, political science, ethics, religion, literature, and psychiatry. Focusing on the general implications of denial, rationalization, and responsibility, it is particularly important as a precursor to the study of the Holocaust and other genocides.